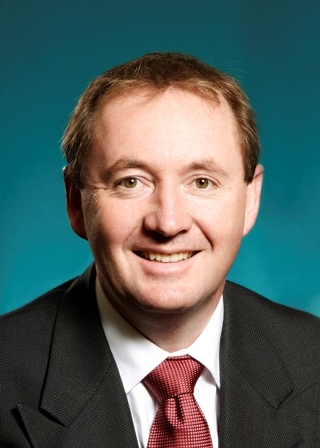 Elected to the Thirty-Eighth Parliament for Jandakot (new seat) on 6 September 2008. Re-elected 2013. Defeated at the general election of 11 March 2017 for the seat of Jandakot by Yaz Mubarakai (ALP). Acting Speaker of the Legislative Assembly from 11 November 2008 to 9 August 2012. Parliamentary Secretary to the Minister for Finance; Commerce; Small Business from 29 June 2012 to 21 March 2013. Minister for Emergency Services; Corrective Services; Veterans from 21 March 2013 to 5 August 2013. Minister for Emergency Services; Corrective Services; Small Business; Veterans from 5 August 2013 to 31 March 2016. Minister for Emergency Services; Fisheries; Corrective Services; Veterans from 31 March 2016 to 17 March 2017. Member, Public Accounts Committee from 13 November 2008 to 14 August 2012. (Deputy Chairman from 26 November 2008 to 16 August 2012). Member, Joint Standing Committee on Delegated Legislation from 13 November 2008 to 14 August 2012. (Chairman from 3 December 2008 to 16 August 2012). Born 11 December 1970, Sydney, New South Wales. Arrived in Western Australia 2000. Naval Officer - Royal Australian Navy (Submariner). The electorate of Jandakot is located in the South Metropolitan Region and includes parts of the Cities of Canning, Cockburn and Melville; including all of the localities of Atwell, Aubin Grove, Banjup, Jandakot, Leeming and North Lake; and parts of Bibra Lake and South Lake. Enrolment (9 March 2015) 25,827; area 67 sq km.